My Santa sack from my parents was full once again, which I didn't expected as I have moved out now. In the sack I got some Nope pads (little note pads) which will be perfect for helping me get stuff done for the blog. 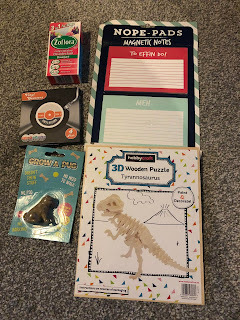 I also got this wooden T-Rex puzzle as the family all call me a T-Rex I think this will be going on the windowsill in the games room. I also got a grow a pug as I am desperate for a dog but I know this is the closest I will get. They also got me some super cute vinyl coasters which will be going into the dressing room once it is done. Of course they got me a new bottle of Zoflora after I begun loving it during the year and even got my sister obsessed with using it. From the grandparents I got a couple of wrestling bits. 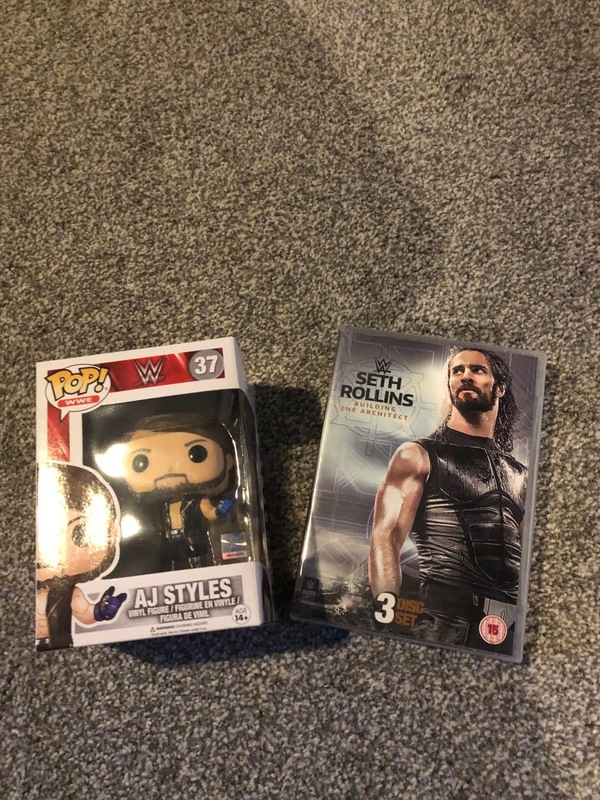 I finally have the AJ Style Pop figure to add to my growing collection of wrestling ones. I also got this Seth Rollins DVD set that I had my eye on for a while... I really can't wait to watch it. 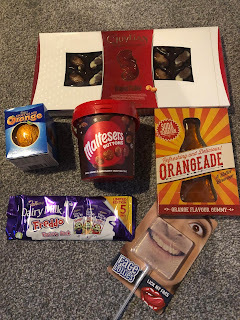 Is it really Christmas if you don't get a load of chocolate, luckily I didn't get as much as previous years but I have plenty to keep me going. I really can't wait to try my orangeade gummy as I love that drink. Luckily I had just cleared all my socks out before Christmas, which I am glad I did as I got plenty again this year. I love these Kellogg's and Game of Thrones ones but my favourites are definitely the dinosaurs. I also got a new Star Wars tangle teezer as my current one is in such bad condition. My parents also got me a Toy Story hot water bottle which I am so grateful for as with my stomach being bad this is just ideal. 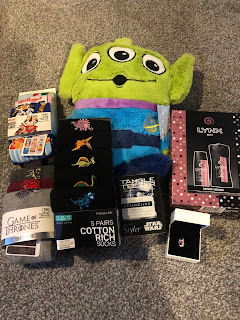 My parent's also got me quite a few Stitch items, a nightshirt, a poncho, slippers and a Stitch tiny big feet. I luckily only got 1 toiletries set this year as I warned everyone I already had far too many. My parents also got me a cute Disney charm to add to my Pandora bracelet as I only had one charm on it. My grandparents also got me a couple of T-Shirts, my wardrobe is really starting to come together, I even have a little collection now of Levi's T-shirts. 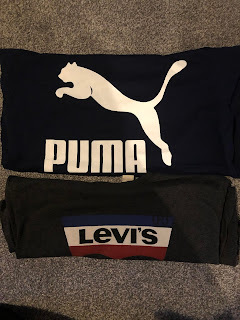 I also fell in love with this Puma one the second I saw it. 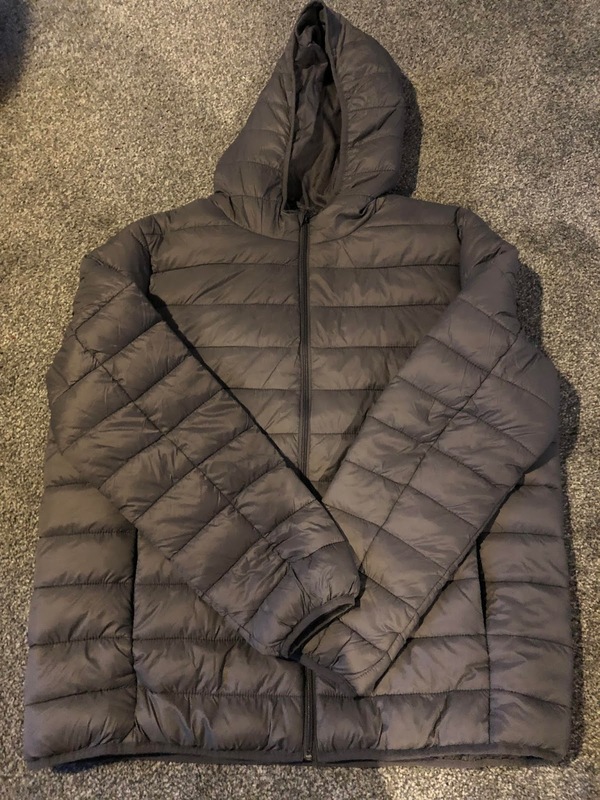 They also got me this new coat which is brilliant, I had been looking for one of these for ages as it is really warm but also really soft. 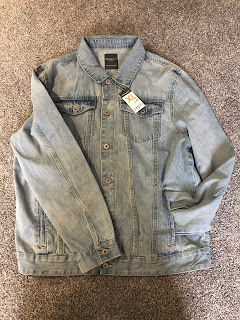 The best part is it actually fits perfect for a change. 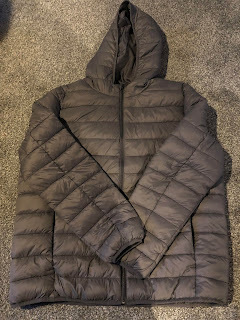 I can see this being my most worn coat. Liam also added to my Disney traditions collection (I need a new shelf for these) with this Ariel and her dad figure. 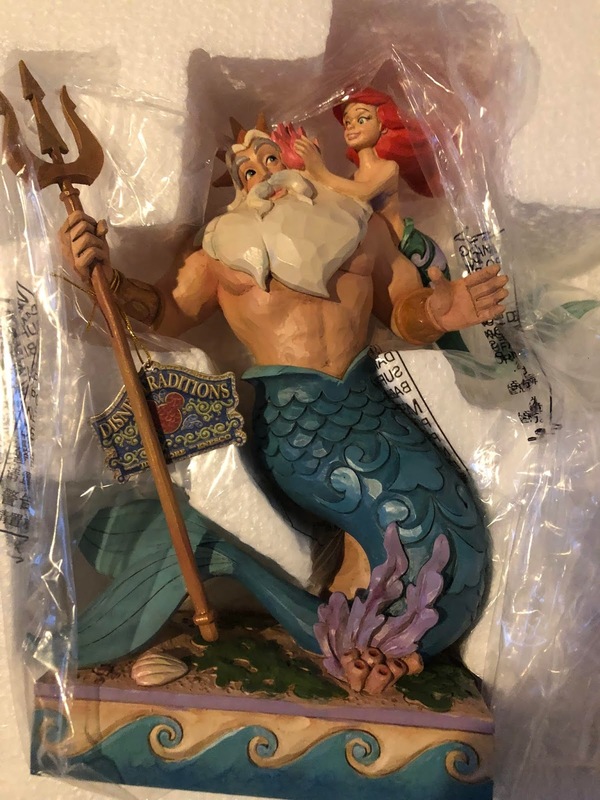 I think I am now so close to having all the Little Mermaid ones. 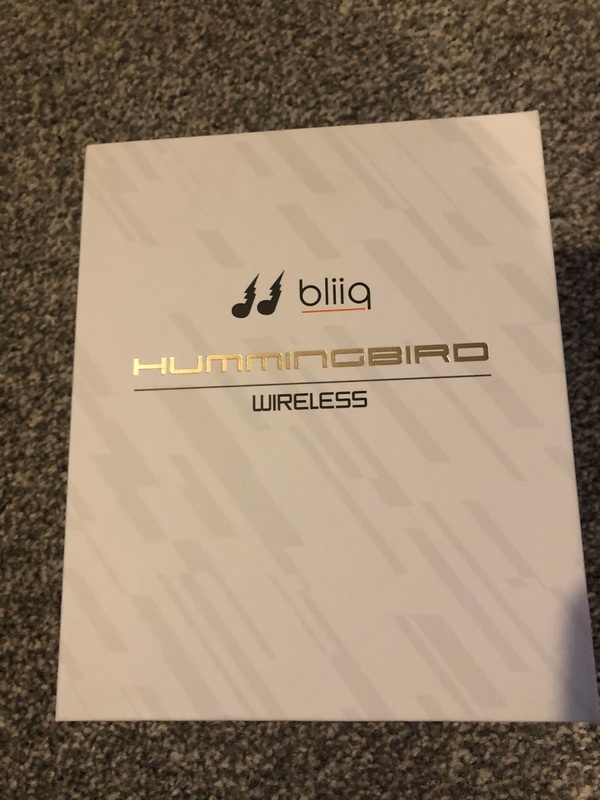 My main present from Liam was actually a Nintendo switch but alongside that and the Ariel figure he also picked up these Bliiq earphones for me. 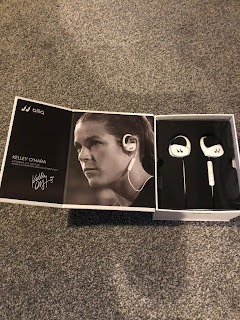 I saw these a while back on Kelley O'Hara's Instagram and loved them so Liam treated me to a pair seen as we are actually heading back to the gym in 2019. 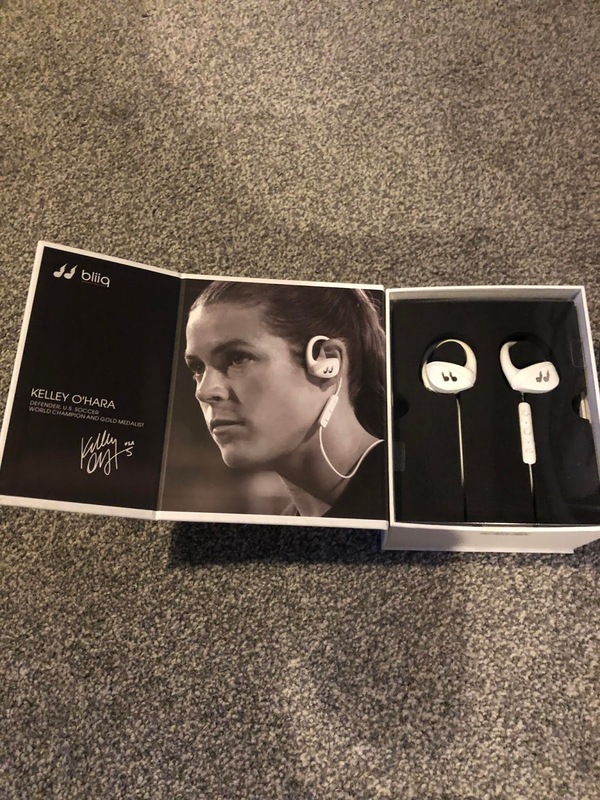 These look brilliant plus there is the added bonus of the Kelley O'Hara picture in the box. My grandparents got me a voucher for a local record store, now I have to make the tough decision on which I want to buy out of the voucher. 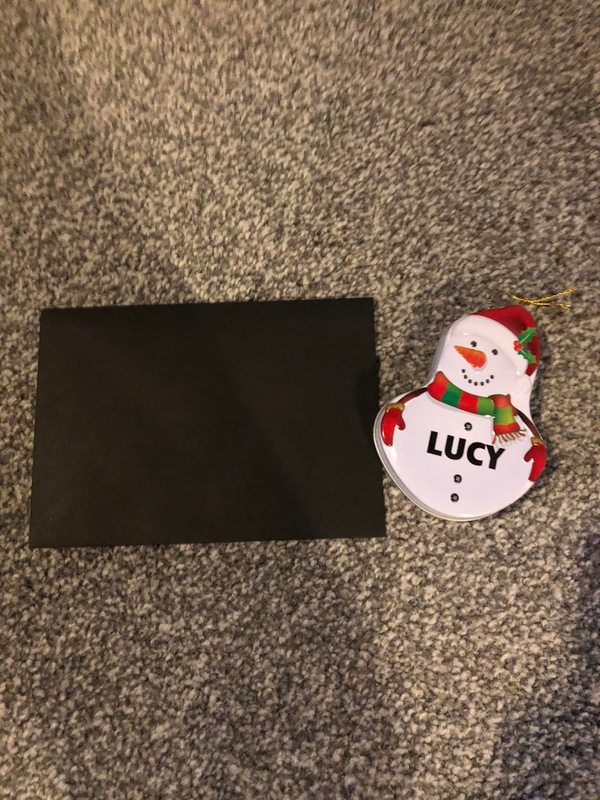 Every year my parents also give me and my sister the snowman tin (with our names on) with some money in to head out to do some shopping in the sales, I really wasn't expecting this in my bag this year so thank you mum and dad. Finally from my parents possibly the biggest surprise of the day.... a signed Bradford City warm up top that was raising money for the motor neurone disease charity. 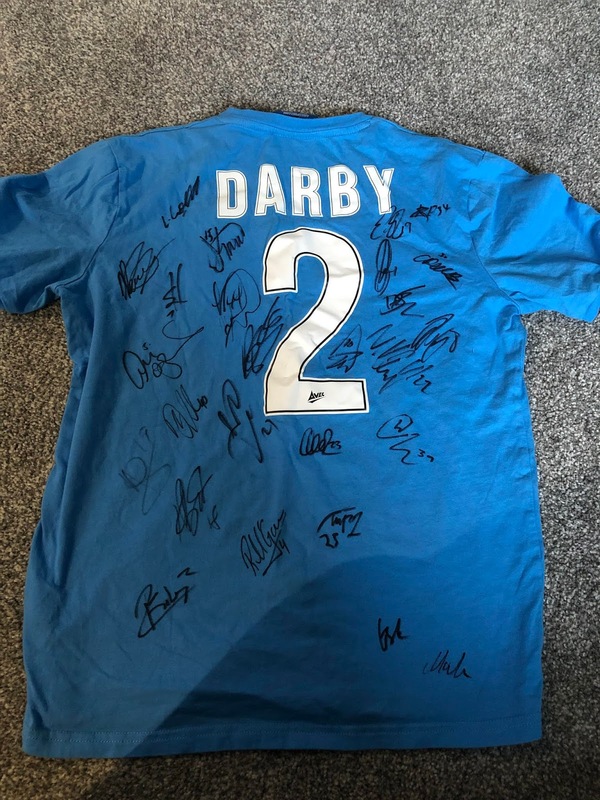 If you didn't already know one of my all time favourite City players is Stephen Darby and unfortunately this year at just 29 he has had to retire after being diagnosed with motor neurone disease. So when Bradford announced players would be wearing these tops then signing them and auctioning them off I don't know how much I actually begged for this, I even wanted to bid myself but I knew I wouldn't be able to afford one. 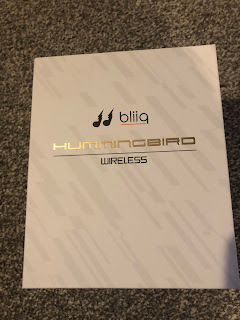 So as time went on I gave up hope of getting one but Christmas morning this was actually the last gift I opened. I still can't believe I have one. I can't wait to get it framed and hung in the house. 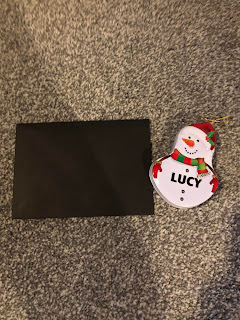 So there you have it that is part 1 of what I got for Christmas, keep an eye out as part 2 will be coming very soon.